As I look back, I realize 2017 has been a fruitful blogging journey! 2017 saw a lot of new beginnings for me and I am really happy the way things have shaped up. As I take stock and #Rewind2017 I know I have a lot to be thankful about. I knew blogging and was doing it for clients for a really long time! This is my second attempt at having a personal blog! My first attempt died a natural death when I just did not invest time in it and kept coming with excuses for not being regular. During the second attempt, when I started off, it was more like a place to vent it out or just write fiction without the fear of being judged! Yeah, I know this is like going in the opposite direction of being an author or a writer. Sometime during the start of 2017, I decided to take blogging seriously, like a project I am managing and promised myself to be regular. That was one of the best decisions I took in life, as it opened a window of opportunities and I met a lot of interesting new people. I made a lot of online friends, who are fellow bloggers and writers. I always loved observing people and understanding how a situation is seen by different people. Blogging and online interaction helped me realize I could do it online too! I saw people coming together for a cause, helping each other and sharing advice. 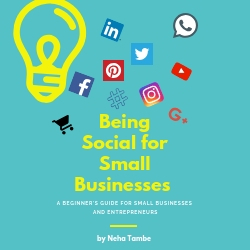 I understood a lot about others professions and the way people have managed to keep blogging alive. It motivated me to keep going and that is a big reason why my blogging euphoria, did not crumble this time. With various blogging platforms like Blogchatter and Indiblogger, I participated in a few contests and campaigns. These campaigns helped me read more; explore more and set mini-goals that I could achieve. It was another big factor that was a motivator for me. I even won a small blog award and that was another ego-booster for me and my blogging journey. This is something that was taught to me right from childhood, but in the daily grind of things, I somehow seemed to have stopped doing it or wasn’t mindful enough about it. But then I came across a few bloggers who practiced gratitude and talked about it on their blog. This made me reflect and realize that it’s a wonderful thing to do! Thankful Thursdays was a linky party that helped me do it and I have been participating in it as and when I can. I do urge you all to participate too! 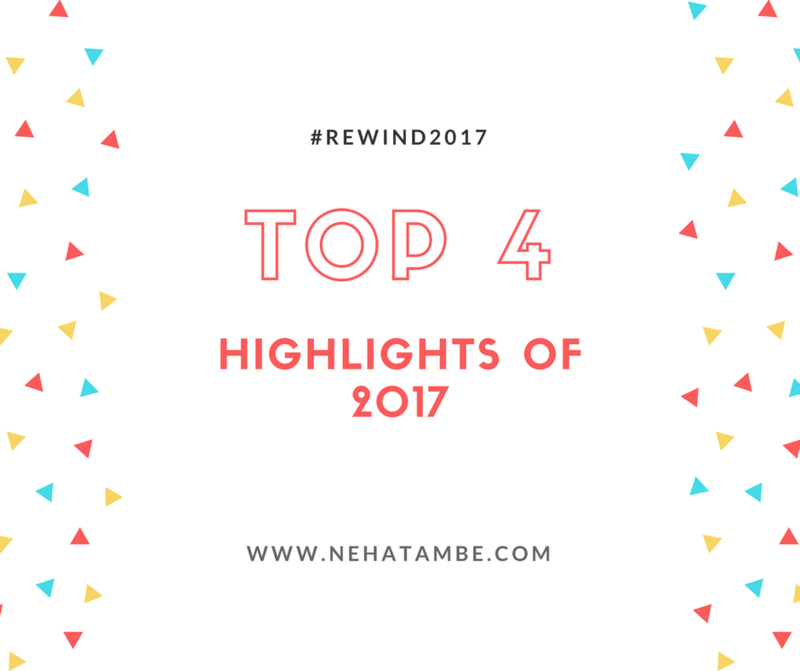 These are like the highlights of my 2017 blogging journey! I have a few things planned out for 2018 and I wish to make it a success. I will continue with my series #FridayFreelancer and #LearnNotEducate which saw some momentum in 2017. Stay tuned on my blogging journey in the coming year and lets all help each other achieve our goals for the next year! Wishing you all a very happy and prosperous 2018! Looks like you had a wonderful year! Blogging does give you a lot of friends. Best wishes Neha in all that you do in 2018 abd beyond.Writing together is fun.#ThankfulThursdays helped me do just that too. this is an awesome list and I really like your #learnnoteducate series, it is a great idea and I think it is a necessity of today’s world. wishing you a happy new year and looking forward to read more from you. Glad you were able to reach these milestones. Blogchatter is indeed a wonderful platform to interact with fellow bloggers and be motivated too. Wish you good luck in the new year. I followed you religiously during the Write Tribe October Challenge. We had a fun time reading each other’s blog. Amidst the chaos, I missed some reading here. Glad to be back here and happy your 2017 has been a fruitful year. I loved the idea of your Blog chatter project. Happy 2018 to you Neha! Good on you to persist with your writing; it did pay off the dividends in rich rewards. Cheers to the year gone by and cheers for a new one up ahead Neha!! Seems like a good year that went by! Wishing you a happy 2018. Thanks for linking with us. Happy to know that 2017 was a wonderful year for you. Hope 2018 will be more amazing as usual. May all your dreams come true this 2018.